Nose: Juniper jumps from the glass with bright, resinous and invigorating aromas. Fans of classic gins will love this from the offset. Palate: The traditional profiles continues on the palate, ticking all of the boxes: juniper, citrus, and spice. This is dry, with a gentle alcoholic power behind it. Finish: A little sweetness, followed by a lingering earthy pepper – clean and lasting. Comments: A textbook example of a classic Gin Tonic gin. Faultless – difficult to beat. Nose: Big and juniper driven, but well balanced with all the aromas expected from a London Dry – complex and enticing. Palate: Loses nothing. Balanced, with crisp and juicy citrus playing with the dry, herbal and earthy notes. Finish: Could be longer, but clean and fresh. Comments: Serve with ice, lime or grapefruit, topped with tonic, or in a classic cocktail such as a dry martini, to allow all those traditional botanicals to shine through. 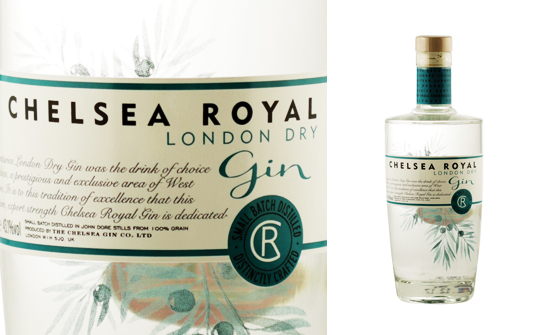 TagsChelsea Royal • Dry Gin • England • Gin • Gin Styles • juniper • London dry gin • The Chelsea Gin Co.